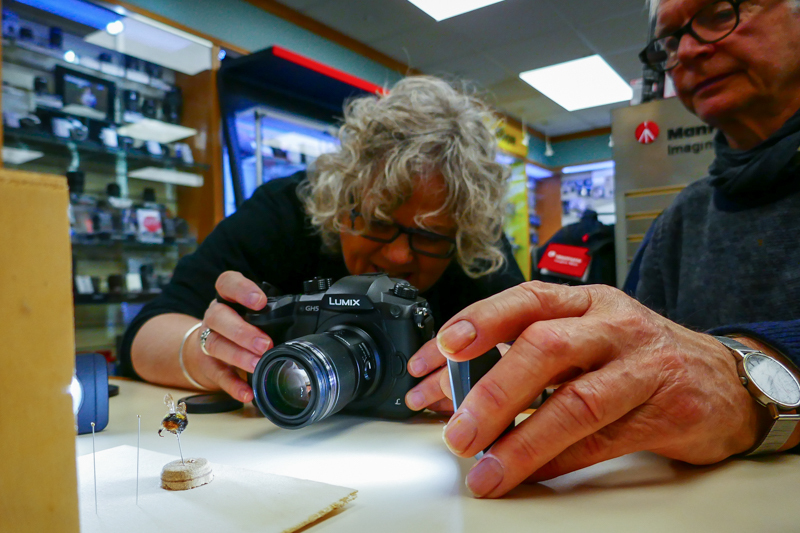 We caught up with LCE customer Ian Ross from View Finders of Romsey (Romsey Camera Club) when he wanted to try out the focus stacking feature on the GH5 after seeing results from a fellow club member who uses the GH4. 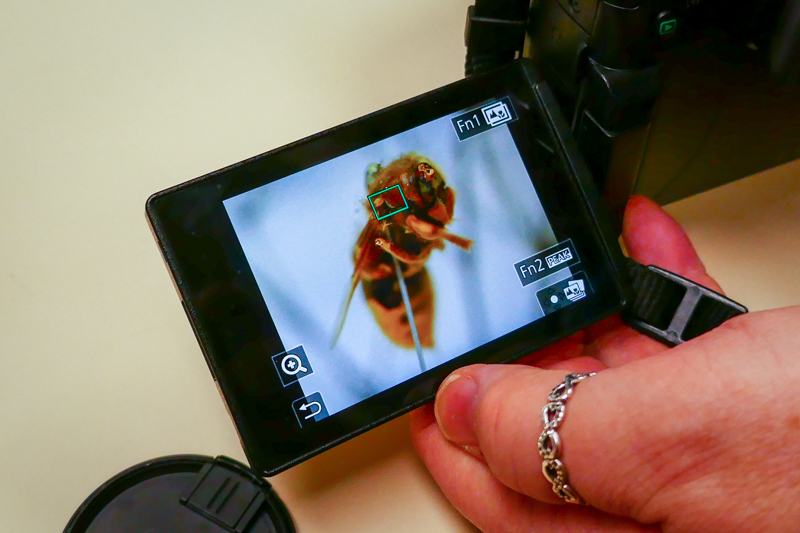 Focus stacking helps you to create incredibly detailed macro shots with in the camera intuitively and easily. 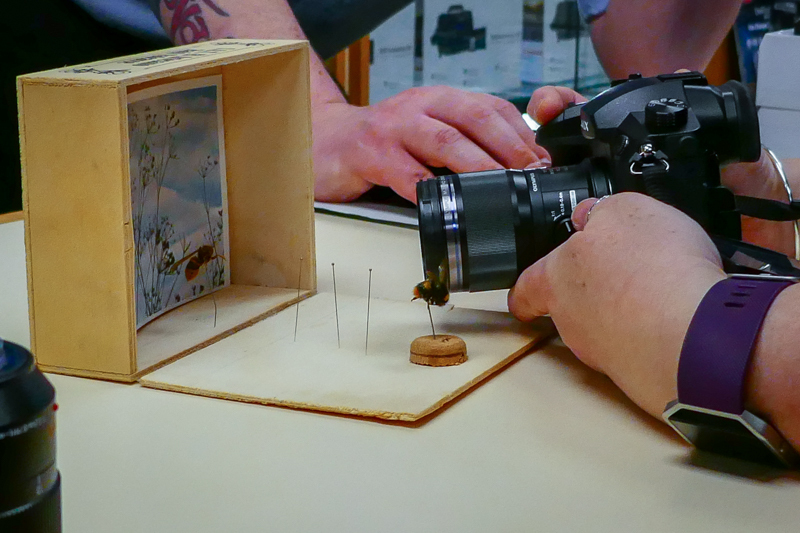 Ian came armed with his current Olympus OMD system and his portable shooting gallery box for his wasps, bees and other insects. Ian shot using both Panasonic lenses and his Olympus 60mm Macro to seek the shots he desired. 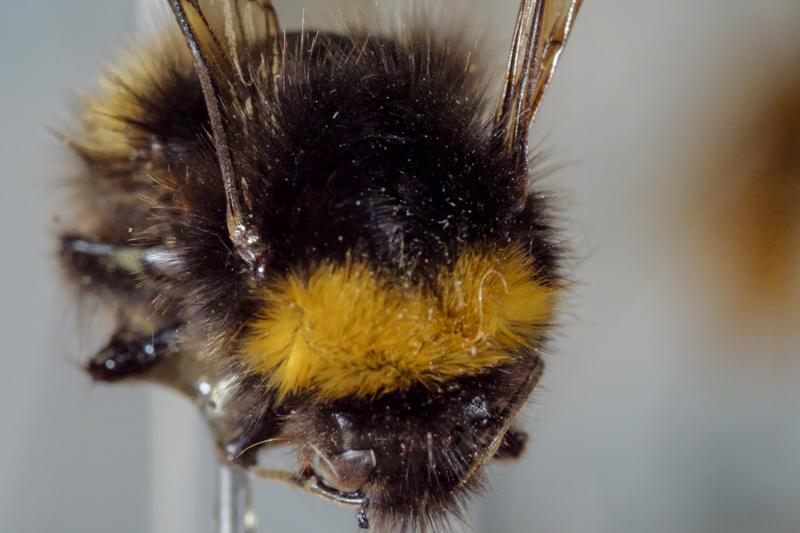 The first collection of images struggled a little while focusing when using the Olympus / Panasonic combination. 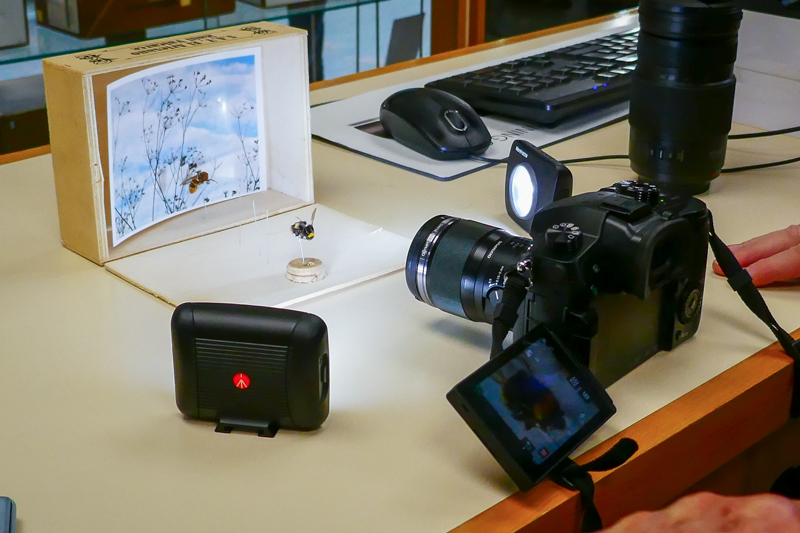 We grabbed a few Manfrotto Lumimuse lights to help give a better exposure and contrast for the focus. We also had a few troubles with the early firmware installed on the GH5 but when it kicked into action the processing and end results left us lost for words. 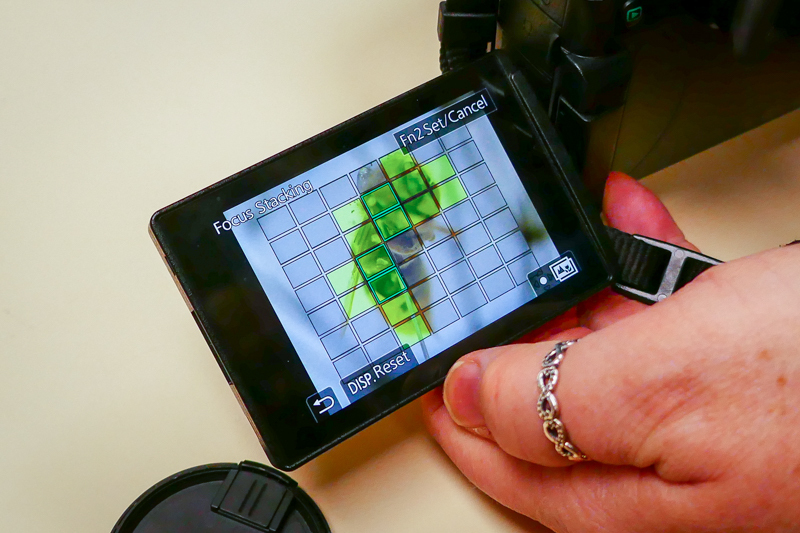 Unfortunately with the GH5 being a sample model the best I can show you is an image of the display screen. I will however return with a production model to show off the results from a GH5. 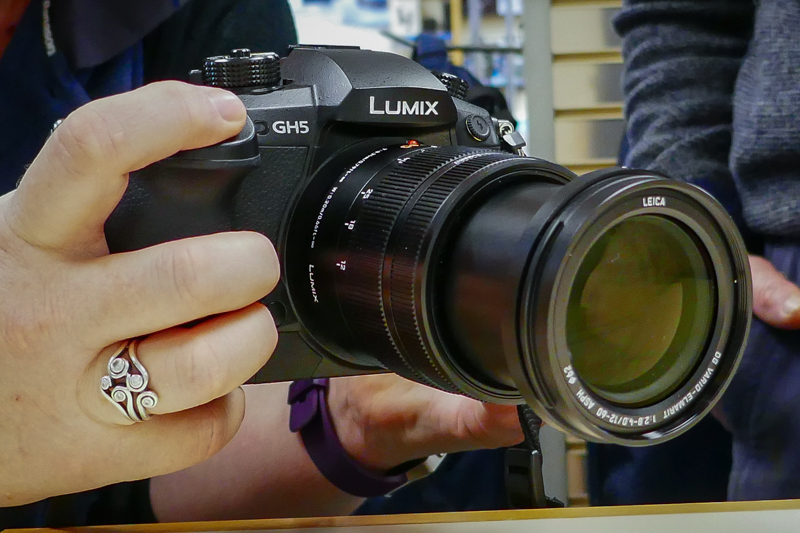 Overall myself, Ian, the Lumix Expert and shop staff were all impressed with the results generated from the sample GH5 and we can’t wait to try out the production model once available. There are only a handful of GH5 in-store days remaining around the group so don’t miss out!